Alaska, known for it's deep, maritime snowpack, is in the midst of a deep slab avalanche xyxle more commonly associated with Continental areas like Colorado. South-central Alaska suffered from a very dry October, November, and early December. A total of 80 inches of snow fell during early winter. These advanced facets were then quickly loaded with 190 inches of snow in late December/early January. Needless to say, things got sketchy fast--and they will be for some time to come. This Wednesday, a skier triggered a deep, large avalanche on Tincan, a popular run on Turnagain. 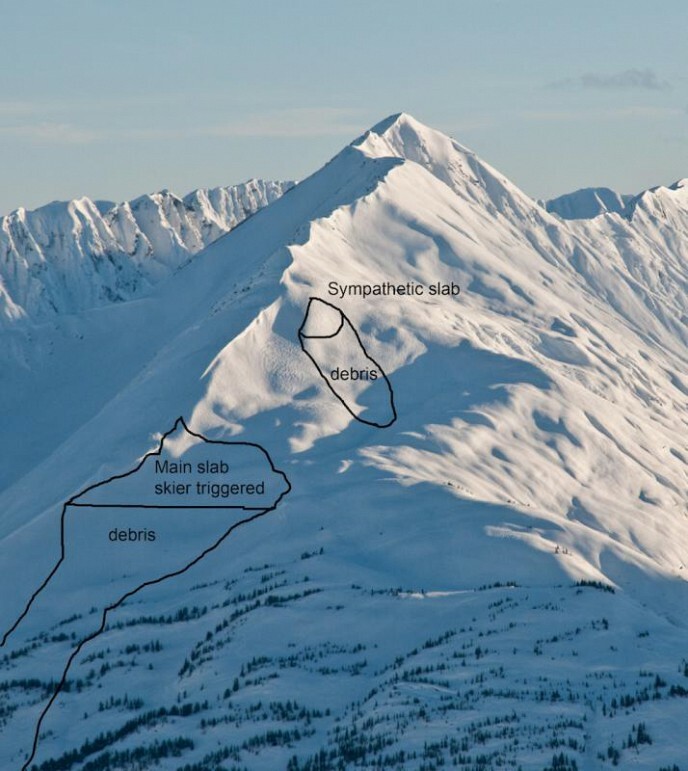 John Fitzgerald recently wrote a synopsis of this skier triggered avalanche on Tincan--a run often skied by those looking for somewhere "safe." It averaged 8-10' deep and ran nearly a 1/4 mile wide. Deep slab instabilities are extremely unpredictable. Deep slabs also have the ability to break unpredictably higher than soft slabs which usually break at steep, convex rollovers--therefore, traditional start-zones and safe-zones do not necessarily apply. These avalanches tend to defy historical patterns, a complication that contributed to the death this year of a seasoned Alpine Meadows Ski Patrolman, Bill Foster. It was also a deep slab instability, due to similar weather conditions, that killed Jackson Hole Ski Patroller Mark "Big Wally" Wolling in January of 2010. The Alyeska Ski Patrol has posted a You Tube video showing the dramatic results at the ski area during avalanche hazard mitigation. Unfortunately, this problem will likely linger for a long time, with alternating periods of dormancy and reactivation. Other events like this are possible for the foreseeable future. The best solution as a skier or rider is patience, which powder hounds are not famous for. Nonetheless, maritime areas like Alaska do usually heal with time. In my 10 years working for Valdez Heli-Ski Guides I have never seen a deep slab instability persist into March. I will certainly be hoping, for the sake of Alaskan locals, that is heals long before that, but it will be interesting to see.